Bridget de Gersigny is a communications professional, queer artist, and community organizer from South Africa. She brings over 15 years of experience in communications to Astraea, having cut her teeth in advertising where she worked as Senior Strategist for major firms like BBDO in the UK and South Africa. In her time working with global brands Bridget was recognised for her ability to develop and implement creative, goal-based, communications and marketing plans, skills that have become invaluable as she directs the communications needs of Astraea. Bridget has a passion for racial and gender justice organizing through the arts. Her artwork has been exhibited internationally, including the Leslie Lohman Museum of Gay and Lesbian Art; NY, The Hessel Museum; NY and Spazzio Morris, Milan. Bridget holds a B.A. (hons.) from the University of Cape Town, a postgraduate certificate from R&Y School of Media and Communications, and an M.F.A. from Bard College, where she was awarded the Director's Scholarship. 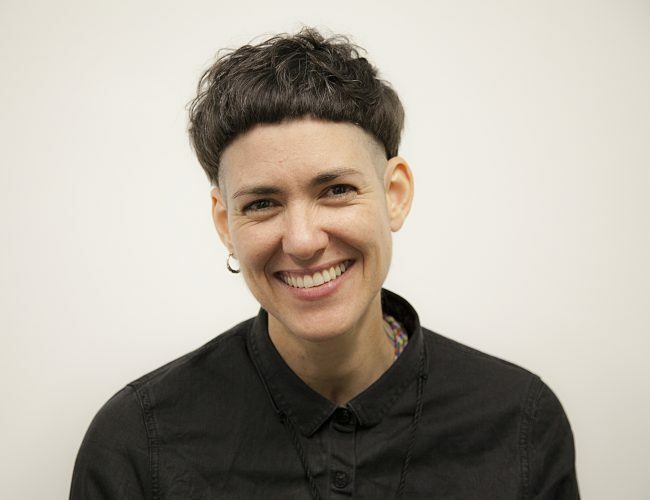 She has worked with a number of social justice organizations including Visual Aids and LoveLife and has a deep desire to challenge oppression and bring lasting justice to LGBTQI communities around the world through conversation, new media and storytelling.